Chicago readers — you're invited to join Mike Allen on Monday for a conversation with Mayor Rahm Emanuel on how he's preparing Chicago for a world of innovation and automation. This event is free and open to the public — just register here. Amazon is an iceberg: People only see what's above the surface. Meanwhile, underneath, the company just keeps expanding. Why you'll hear about this again: This has proven true time and time again. When people thought of Amazon as a bookstore, it was already on its way to being an e-commerce giant. When all people saw was an e-commerce giant, Amazon was well on its way to being a marketplace and web services provider. 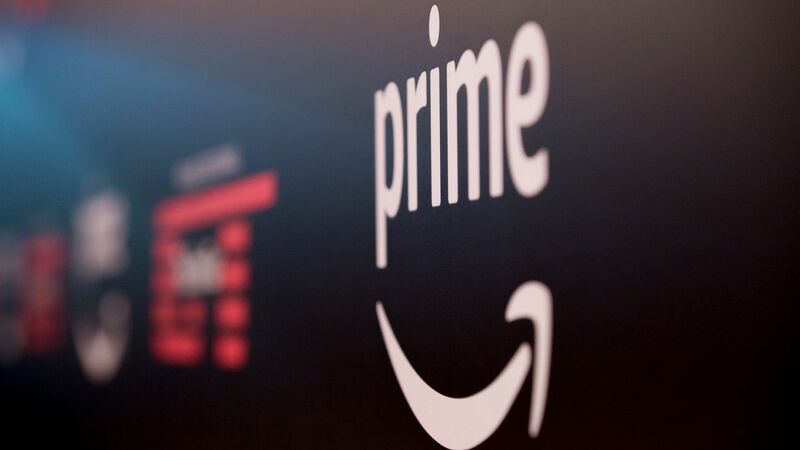 Amazon Prime — with its expansion into video and music services and its moves into brick and mortar — has been similarly underestimated, though people have at least learned to fear what the company might be up to next. Amazon struck a deal with Best Buy that will see the electronics chain carry televisions with Amazon's Fire TV built in. Now, fast forward a few years and which seems more likely — that this headline will come back to haunt Amazon when Best Buy takes over the online electronics business or that Amazon will get the last laugh? Amazon is announcing today "blueprints" for Alexa, a way for home users to easily create their own quizzes and games for Echo and other devices. Again, some looked at the Echo and saw a smart speaker, where Amazon has quietly built an entirely new operating system. Go deeper: Axios business editor Dan Primack and I went back and forth about Amazon's size and strength in a video earlier this year. As mentioned, Amazon is announcing a new program today that will allow people to create their own games and other programs for their Alexa-powered devices. The so-called "blueprints" can do things like have recorded info for babysitters or house guests, create flash cards and play customized trivia games. Developing traditional Alexa skills requires some amount of coding. At a briefing last month, I was able to write a basic Alexa skill — with some help — in a couple of hours. By contrast, these blueprints allow people to have custom apps in minutes — no coding required. Quick take: The move could both boost loyalty to Amazon's platform and help people make their own devices more useful. Prominent U.S. tech companies obtained more H-1B visas in 2017 than in 2016, according to a new study using fresh data from U.S. Citizenship and Immigration Services (USCIS). At the same time, several of the largest India-based companies saw a decrease in approved petitions for the second year in a row, Stef Kight reports. The big picture: Total petitions for H-1B visas for the 2019 fiscal year fell by about 9,000, mostly due to a decreasing numbers of H-1B petitions from India-based firms. However, the study, conducted by the National Foundation for American Policy, shows there is still a strong demand for H-1Bs in the U.S. Meanwhile, the Federation for American Immigration Reform is suing USCIS for not producing records on H-1B workers and employers, including wage information, requested through the Freedom of Information Act. Under CEO Brian Krzanich, Intel has made a number of moves beyond its computer chip roots, including forays into wearables, augmented reality and virtual reality. But, with its announcement Wednesday that it's shutting down its AR glasses project, all three of those efforts have now ended. Why it matters: The PC business still isn't growing. While a healthy data center business has helped keep Intel going, its future depends on some of its remaining bets, such as sports or autonomous cars, paying off. Separately: Rival Qualcomm is cutting an unspecified number of jobs as it looks to slash $1 billion in spending. RSA Conference continues in San Francisco. The WSJ's D. Live Asia event starts in Hong Kong. CTIA is hosting a "Race to 5G summit" in Washington, D.C., featuring FCC officials as well as executives from Samsung, Qualcomm and other key players. There are a couple big executive changes at Verizon's Oath unit, per Recode. Former Alibaba executive K. Guru Gowrappan has joined as CEO Tim Armstrong's No. 2, while Simon Khalaf, who had been in charge of Oath's media brands, exited last week. TaskRabbit resumed its service Wednesday after taking itself offline amid an ongoing investigation into whether its systems have been compromised. Facebook is the latest tech company planning to design its own chips, according to Bloomberg. Speaking of Facebook, it and other tech companies are reversing a legal maneuver that saw them placing all non-U.S. users under the auspices of their European headquarters, per a Reuters exclusive. While doing so had some benefits in the past, it now could be a liability if those users were to fall under strict new European privacy rules. The NYT has an interview with Marissa Mayer talking about her post-Yahoo life and more. Lyft is launching a multi-million dollar effort to make all of its rides worldwide carbon neutral, the company announced Thursday. Amazon's Jeff Bezos shares 7 "essentials" for high standards inside an organization in this age of "customer empowerment" in his annual letter to shareholders. The WSJ says parents are cheating at board games — in order to let their kids win and therefore be done sooner. "I have been known to do that," said a source who is also the other parent to my child.